In my advanced typography class I used Illustrator, Scanfont, and Typetool to create a German Expressionism inspired font entitled Munster. 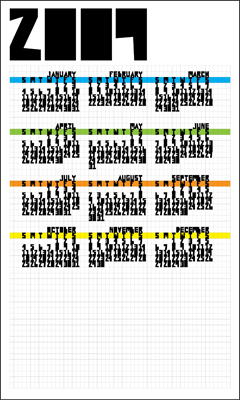 Using the font, I created a poster sized calendar for 2009. Printed with a gloss finish, the white space on the bottom encourages note taking with dry erase markers.